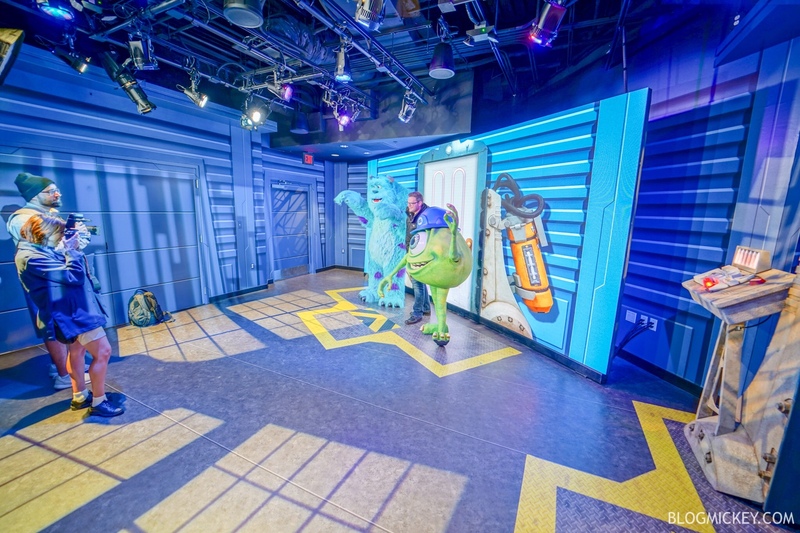 It had a bit of a rough debut last month between a missed opening date, delayed inspections, and props that weren’t ready, but the Monsters Inc Meet and Greet at Hollywood Studios seems to finally be completed. 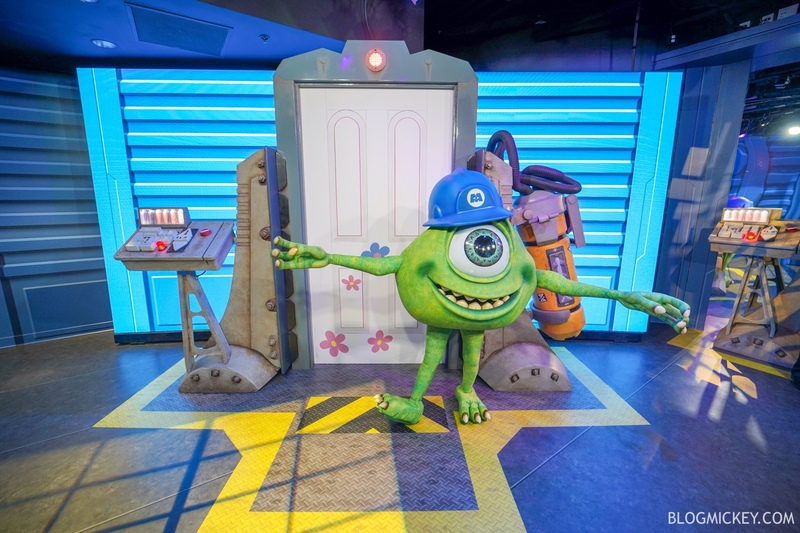 We went back to Hollywood Studios today to find changes in both the queue and meet and greet area. 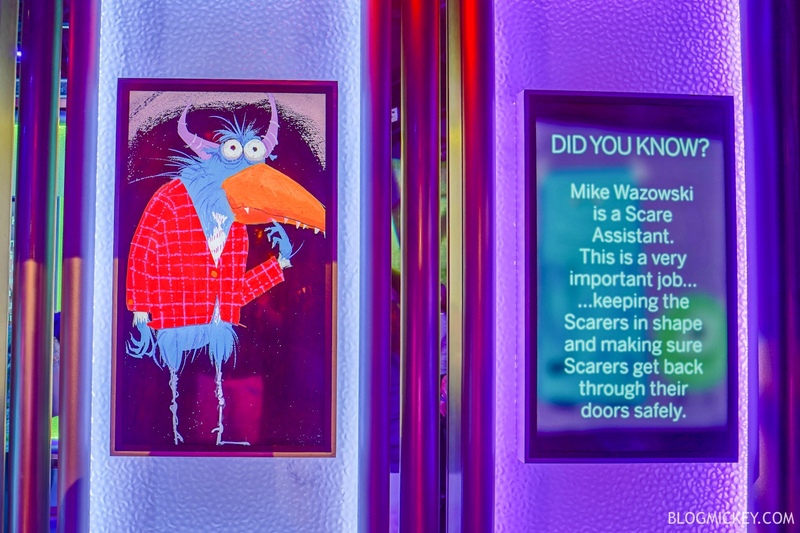 First, we’re happy to see that the physical prop for Boo’s door has been installed. 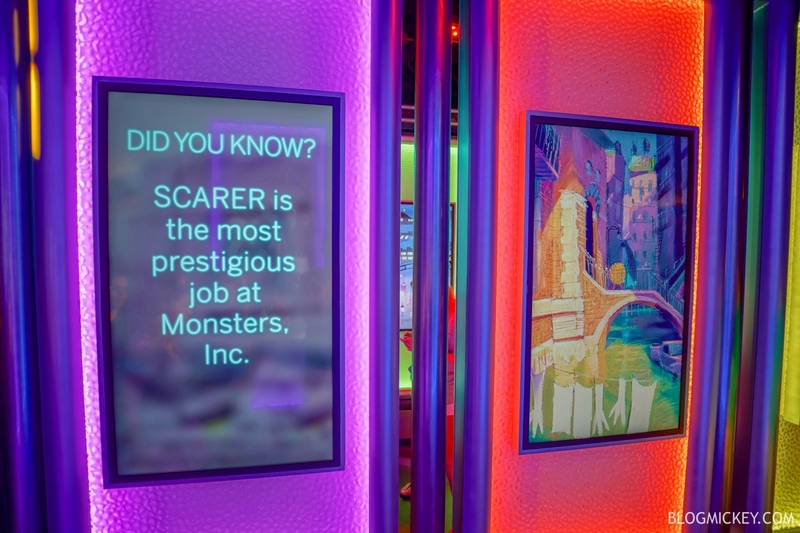 Here’s a look back at the all-screen backdrop when the meet and greet debuted vs the space as it is today. 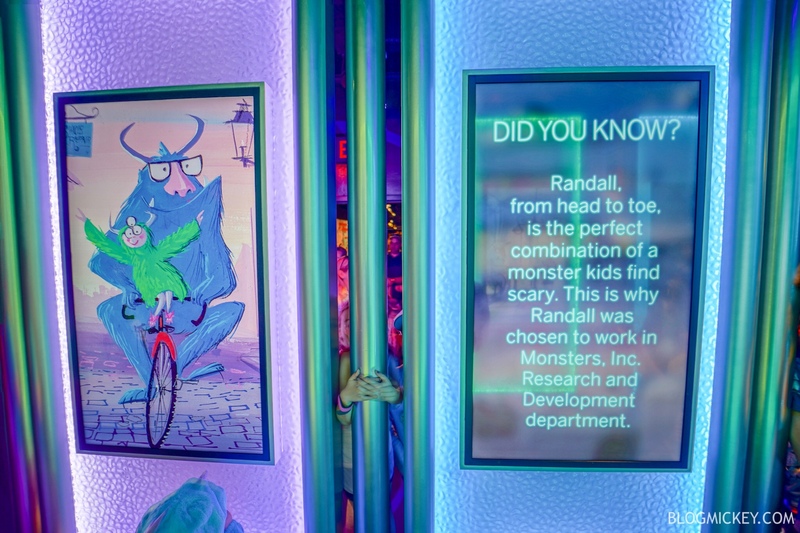 It’s worth noting that both Mike and Sully normally still meet together, Sully just wasn’t there when we went through. 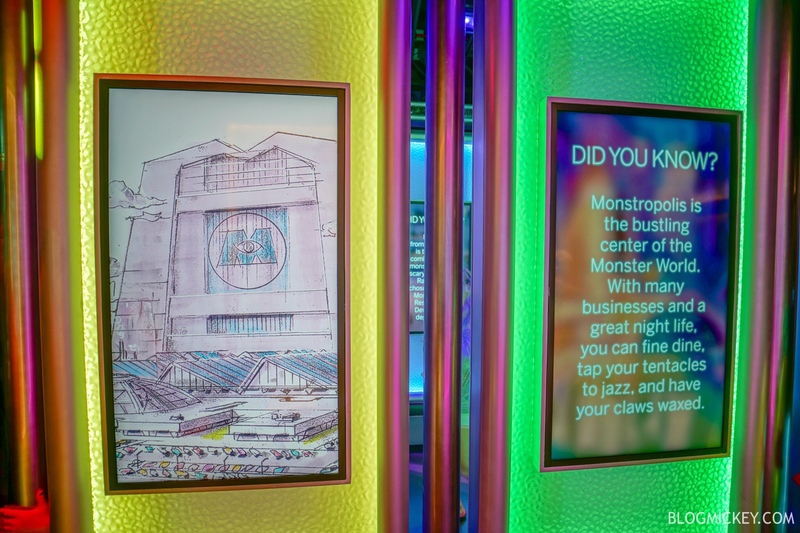 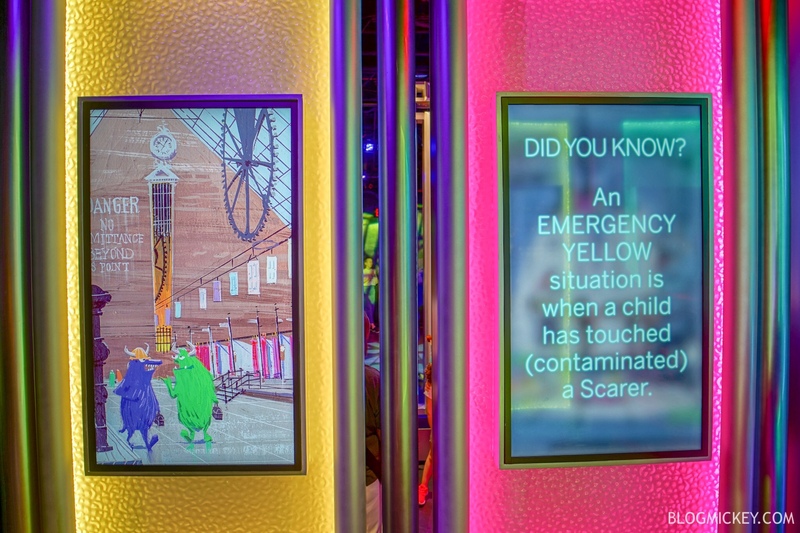 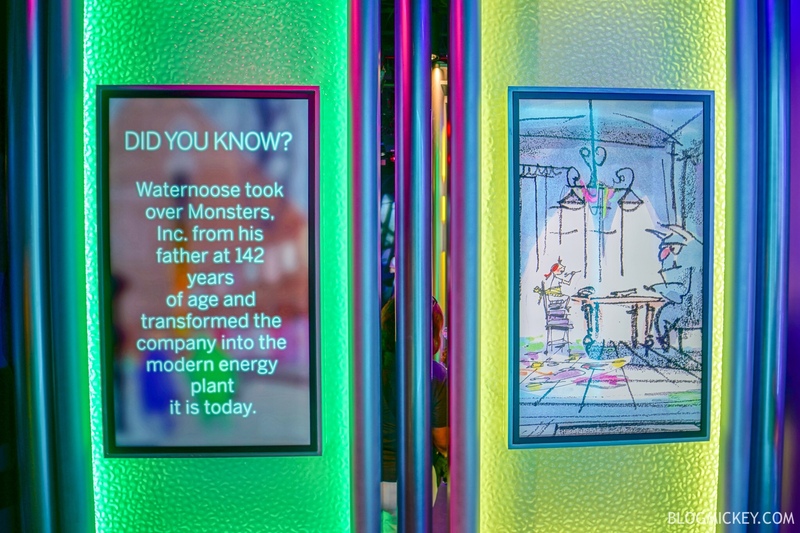 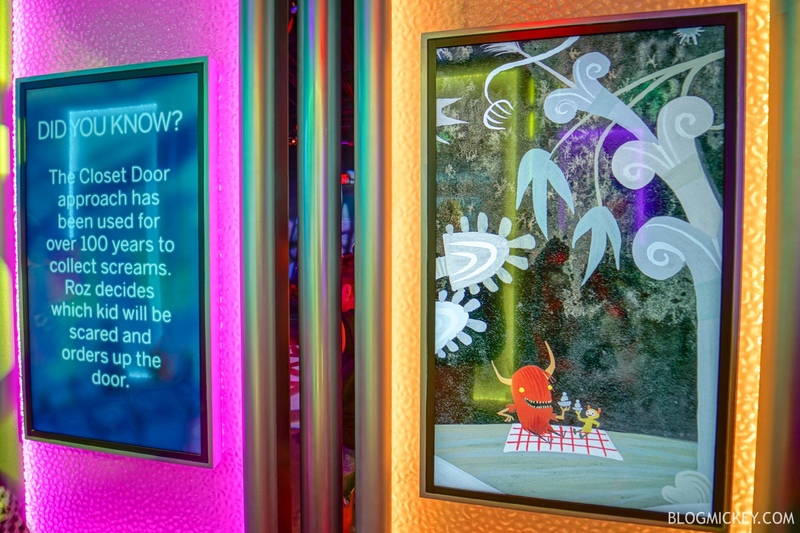 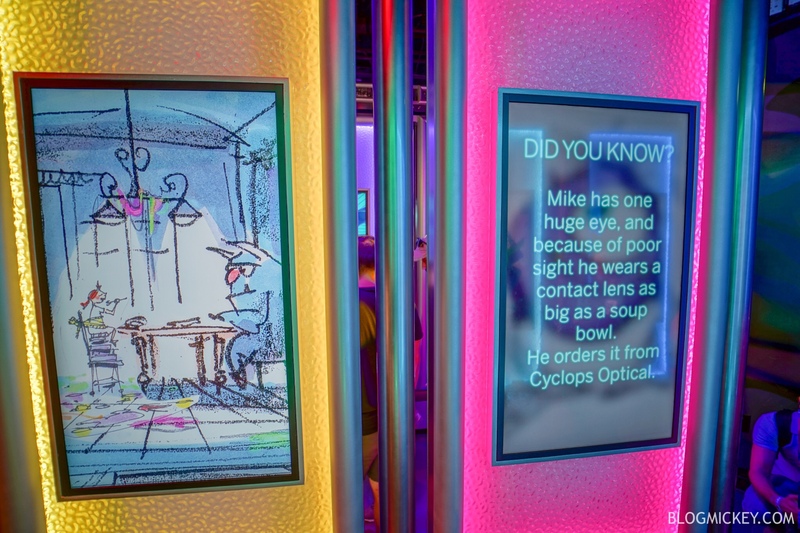 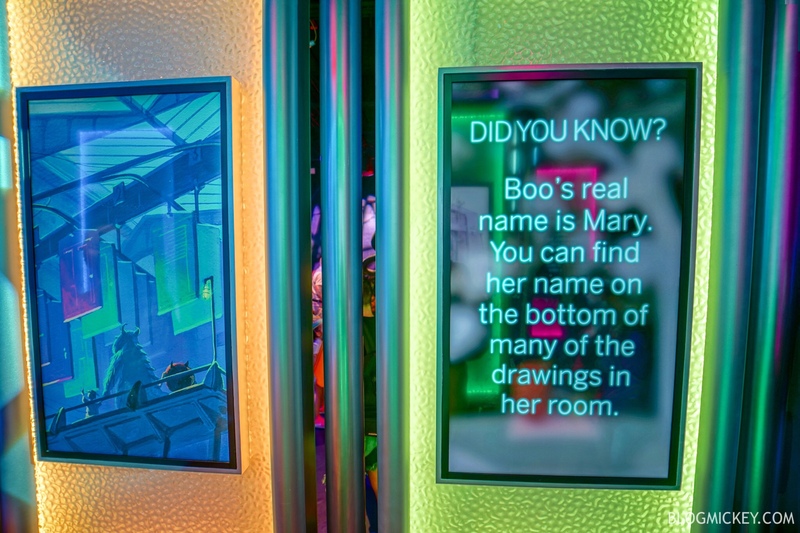 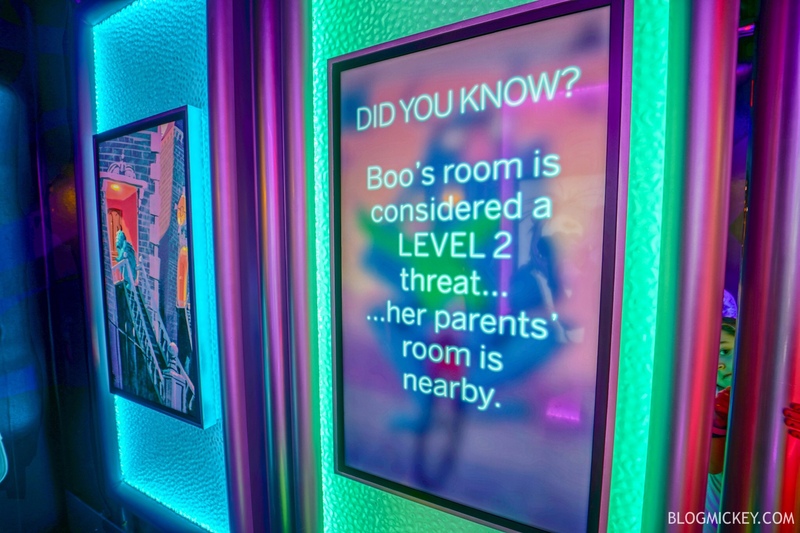 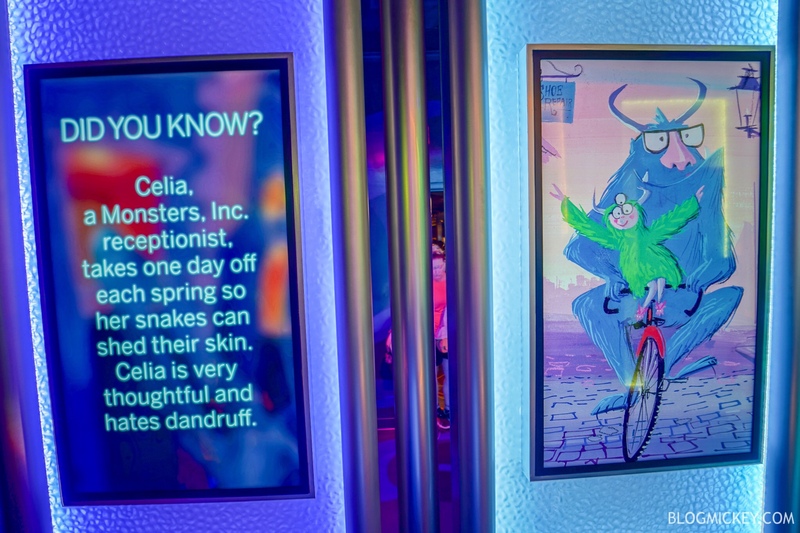 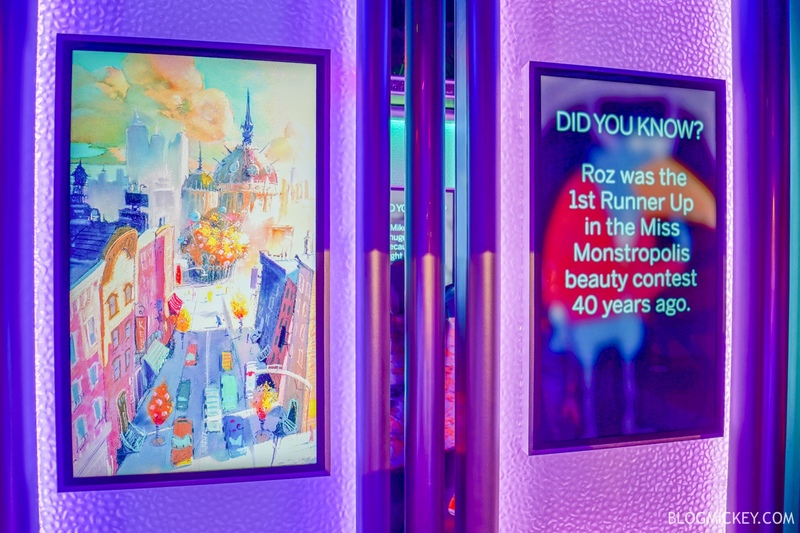 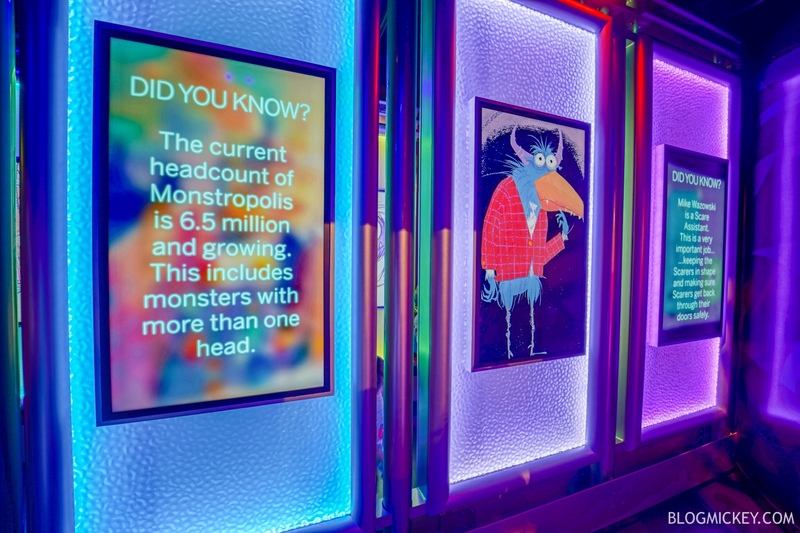 Also, the queue has received all-new TV screens that rotate between artwork and “fun facts” about the Monster World. 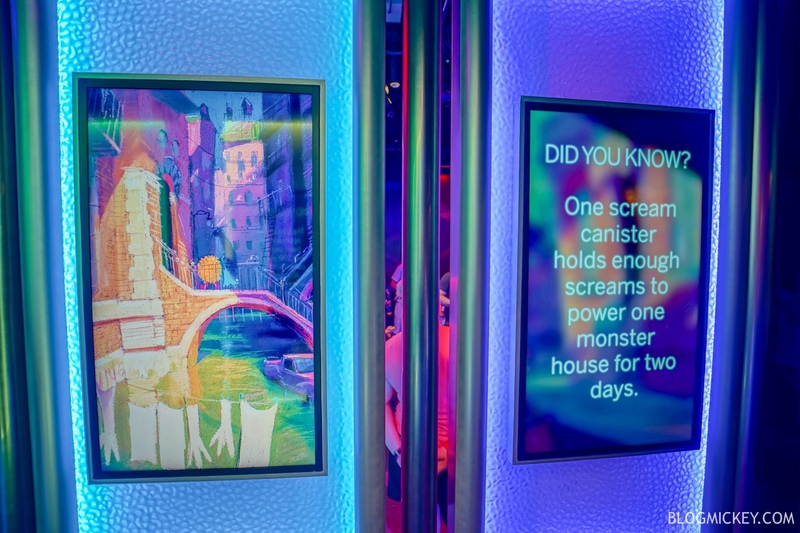 Previously, these were static, physical posters.